Landed In Luxury is here! 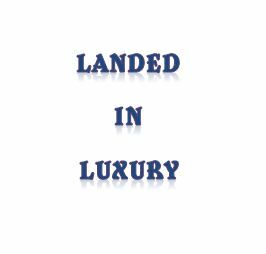 Landed In Luxury is a group I have designed for business professionals involved in the aviation, hospitality, luxury and service industries. It is a place to network, engage and experience current trends and social affairs. Over the last few years I have been lucky enough to have met some of the most talented individuals right here on LinkedIn. Through our mutual networking we have formed excellent relationships that have now turned into business partnerships as well as lasting friendships. I am very fortunate to call Las Vegas home. And for many reasons. One being that many connections made right here will at some point have a trip scheduled to the city. A city with a calendar overflowing with conventions, performances and sporting events that everyone wants to attend. These trips to Las Vegas allow us the opportunity to meet in person which in turn solidifies our relationship. Whether it is a business trip or one with the family there is always a unique experience available and it is my job to show you all the luxuries that Las Vegas has to offer. Social Media plays a very big part in all of our industries and we all deserve to experience the greatness is has to offer. This is where the social affairs comes into play. Landed In Luxury is for professionals everywhere, however Las Vegas is where our experiences will begin. These networking experiences will be a breed of their own and nothing close to ordinary. Buckle your seat belts (pun intended) because 2015 is going to be an incredible year for all of us. One that we have all been working hard for and one that we truly deserve to celebrate together.